Louis Antoine of France, Duke of Angoulême (6 August 1775 – 3 June 1844) was the eldest son of Charles X of France and the last Dauphin of France from 1824 to 1830. He was technically King of France and Navarre for less than 20 minutes before he himself abdicated, due to his father's abdication during the July Revolution in 1830. He never reigned over the country, but after his father's death in 1836, he was the legitimist pretender as Louis XIX. He was a petit-fils de France at birth, and was initially known as Louis Antoine d'Artois. After his father's accession to the throne, he became fils de France, and his surname changed to de France, following the royal custom for princes with such rank. 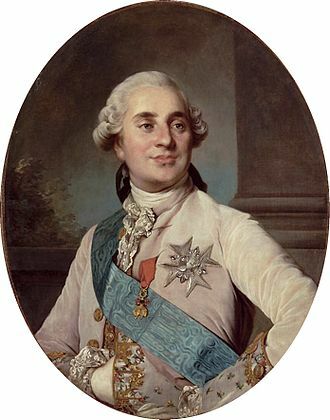 Louis Antoine was born at Versailles, as the eldest son of Charles Philippe, Count of Artois, the youngest brother of King Louis XVI of France. He was born one year after the death of his great-grandfather, Louis XV of France. His mother was Princess Maria Theresa of Savoy (known as Marie Thérèse in France), the daughter of Victor Amadeus III of Sardinia and Maria Antonia Ferdinanda of Spain. 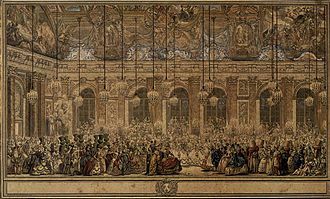 From 1780 until 1789, Louis Antoine and his younger brother, Charles Ferdinand, Duke of Berry, were educated by Armand-Louis de Sérent marquis de Sérent, their gouverneur, in the château de Beauregard, a few miles from Versailles. On the outbreak of the French Revolution in 1789 the two young princes followed their father into exile to first Turin, then to Germany and finally England. 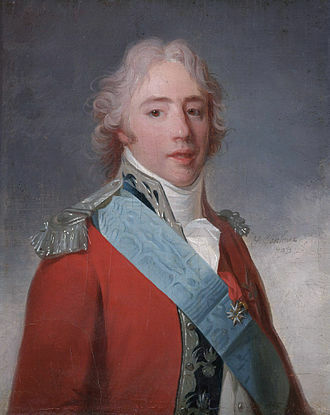 In 1792, Louis Antoine joined the émigré army of his cousin, the Prince of Condé. 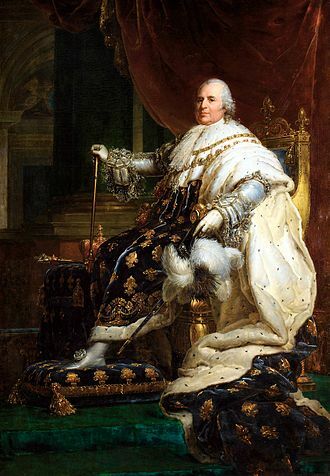 In June 1795, his uncle, the comte de Provence, proclaimed himself King Louis XVIII. Later that year, the 20-year-old Louis-Antoine led an unsuccessful royalist uprising in the Vendée. In early 1797, he joined his brother and uncle in the German Duchy of Brunswick, hoping to join the Austrian Army. 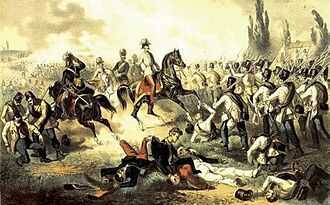 The defeat of Austria by France obliged them to flee, and they took refuge in Mittau, Courland, under the protection of Tsar Paul I of Russia. 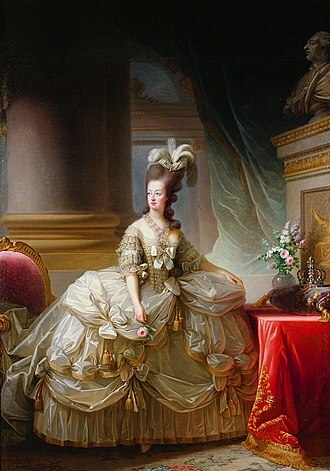 There, on 10 June 1799, he married his first cousin, Princess Marie Thérèse of France, the eldest child of Louis XVI and Marie Antoinette, and the only member of the immediate royal family to survive the French Revolution. Since her release from the Temple Prison in 1795, she had been living at the Austrian court. They had no children. 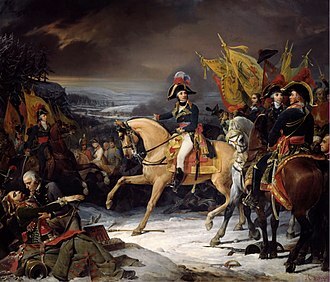 In April 1800, Louis Antoine took command of a regiment of cavalry in the Bavarian army and took part in the battle of Hohenlinden against the French, showing some ability. 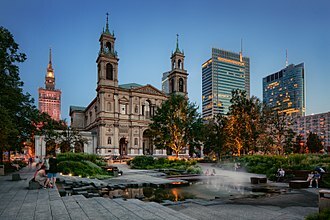 In early 1801, Tsar Paul made peace with Bonaparte, and the French court in exile fled to Warsaw, then controlled by Prussia. 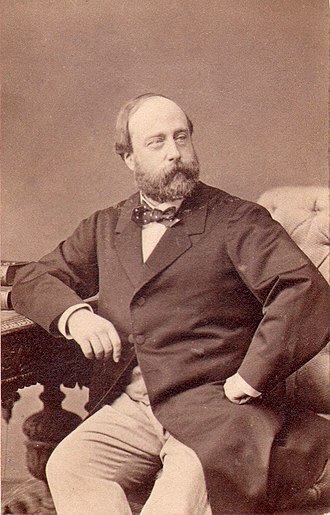 For the next ten years, Louis-Antoine accompanied and advised his uncle, Louis XVIII. 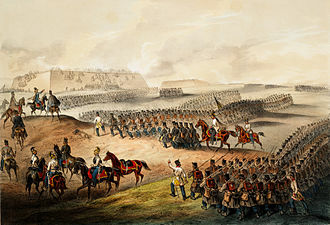 They returned to Russia when Alexander I became Tsar, but in mid-1807 the treaty between Napoleon and Alexander forced them to take refuge in England. 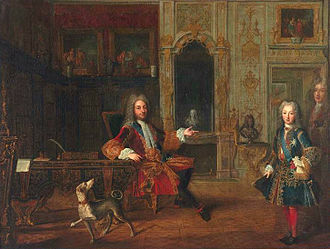 There, at Hartwell House, King Louis reconstituted his court, and Louis-Antoine was granted an allowance of £300 a month. Twice (in 1807 and 1813) he attempted to return to Russia to join the fight against Napoleon, but was refused permission by the Tsar. He remained in England until 1814 when he sailed to Bordeaux, which had declared for the King. 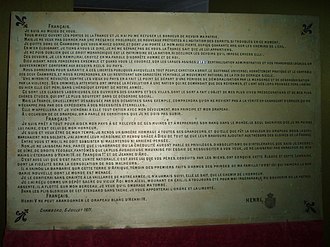 His entry into the city on 12 March 1814 was regarded as the beginning of the Bourbon restoration. From there, Louis Antoine fought alongside the Duke of Wellington to restore his cousin Ferdinand VII to the throne of Spain. Faience plate celebrating the Duke of Angoulême as Admiral of France. On display at the Musée national de la Marine, Paris. Louis Antoine was unable to prevent Napoleon's return to Paris as chief of the royalist army in the southern Rhône River valley, and he was again forced to flee to England during the "Hundred Days". He loyally served Louis XVIII after the final defeat of Napoleon at Waterloo. In 1823, he commanded a French corps sent into Spain to restore the King's absolute powers, known as the Hundred Thousand Sons of Saint Louis. He was victorious in the Battle of Trocadero, after which the reactionary power of King Ferdinand VII of Spain was firmly restored. For this achievement, he was awarded the title of a Prince of Trocadero. 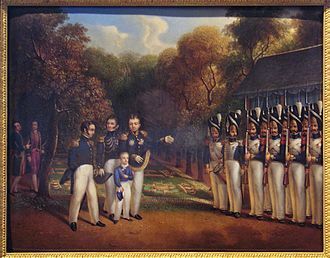 Upon the King's death in 1824, his father became King Charles X and Louis-Antoine became Dauphin, heir-apparent to the throne. 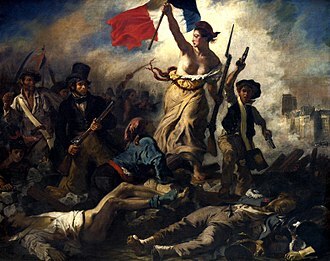 He supported his father's reactionary policy of purging France of her recent revolutionary and imperial past, expelling former imperial officers from the Army. 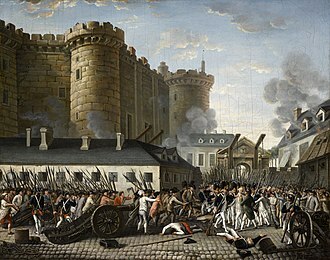 Masses of angry demonstrators demanded the abdication of Charles and of his descendants in July 1830, in what became known as the July Revolution, in favour of his cousin Louis Philippe, Duke of Orléans. They sent a delegation to the Tuileries Palace to force his compliance. 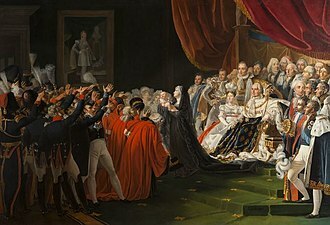 Charles reluctantly signed the document of abdication on 2 August 1830; Louis Antoine followed 20 minutes later. It is said that Louis Antoine spent this time listening to the entreaties of his wife not to sign, while the former Charles X sat weeping. After that, he also abdicated (in favour of his nephew, the Duke of Bordeaux). For the final time he left for exile, where he was known as the "Count of Marnes". He never returned to France. Louis Antoine and his wife travelled to Edinburgh, Scotland, in November 1830 and took up residence in a house at 21 (now 22) Regent Terrace near Holyrood Palace where Charles X was staying. Emperor Francis I of Austria offered the Prague Castle in Prague to the royal entourage in 1832, so Louis-Antoine and Charles X moved there. 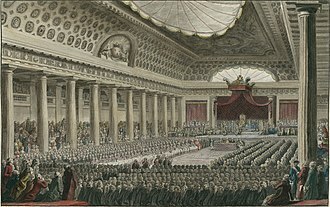 Francis I, however, died in 1835, and his successor Ferdinand I of Austria told the French royal family that he needed the palace for his coronation in the summer of 1836. 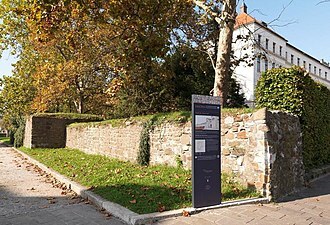 The exiled French kings and their entourage therefore left and eventually arrived at the castle of Graffenberg in Gorizia on 21 October 1836. 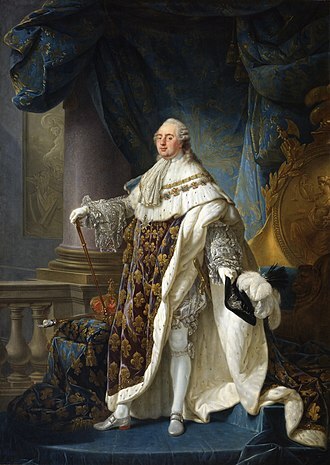 Many legitimists did not recognize the abdications as valid, and recognized Charles X as king until his death in 1836, with Louis XIX succeeding him. Louis Antoine died in Görz, Austria, in 1844, aged 69. He was buried in his father Charles X's crypt in the church of the Franciscan monastery of Kostanjevica near Görz, now Nova Gorica, Slovenia. Upon his death, his nephew the Duke of Bordeaux became head of the royal family of France under the regnal name Henry V, although he used the title of Count of Chambord in exile. 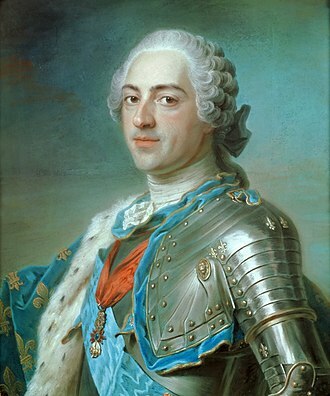 The newborn Duke of Angoulême is portrayed by an uncredited child actor in a brief scene from the Sofia Coppola motion picture Marie Antoinette. This scene contains a great error as it mistakenly names his parents as being Louis XVIII and Marie Josephine Louise of Savoy, who never had children. ^ Eugène Guichen (1 January 1909). "Le Duc d'Angoulême (1775-1844)". E. Paul. Retrieved 12 April 2017 – via Internet Archive. ^ Mitchell , Anne (1993), "The People of Calton Hill", Mercat Press, James Thin, Edinburgh, ISBN 1-873644-18-3. Supporters of the Bourbon would be called Legitimists, and supporters of Louis Philippe Orléanists. On 16 September 1824, Charles X ascended to the throne of France and he was the younger brother of Louis XVIII, upon the defeat of Napoleon I, and by agreement of the Allied powers, had been installed as King of France. Both Louis and Charles ruled by right rather than Revolution. Upon the abdication of Napoleon in 1814, continental Europe, the Congress of Vienna met to redraw the continents political map. Another very influential person at the Congress was Charles Maurice de Talleyrand, although France was considered an enemy state, Talleyrand was allowed to attend the Congress because he claimed that he had only cooperated with Napoleon under duress. Talleyrand proposed that Europe be restored to its borders and governments. France returned to its 1789 borders and the House of Bourbon, the Congress however forced Louis to grant the Charte constitutionnelle française, the French Constitution otherwise known as La Charte. This document was the trigger of the July Revolution. On 16 September 1824, after an illness of several months. 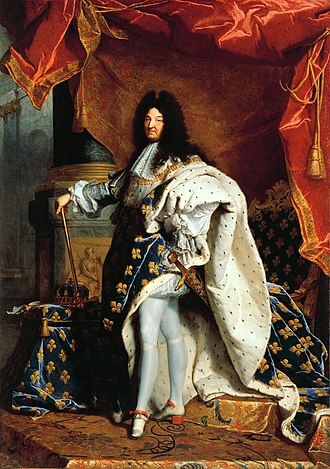 Therefore, his brother, aged 66, inherited the throne of France. 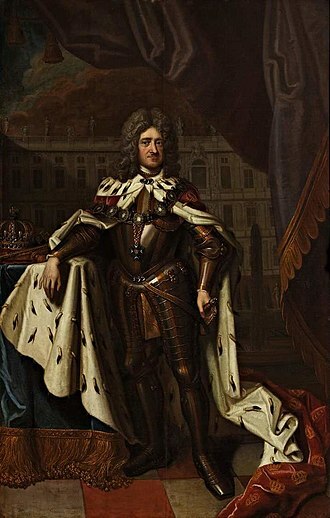 On 27 September Charles X as he was now known, made his entry into Paris to popular acclaim. But eight months later, the mood of the capital had sharply worsened in its opinion of the new king, the causes of this dramatic shift in public opinion were many, but the main two were, The imposition of the death penalty for anyone profaning the Eucharist. The provisions for financial indemnities for properties confiscated by the 1789 Revolution and these indemnities to be paid to any one, whether noble or non-noble, who had been declared enemies of the Revolution. 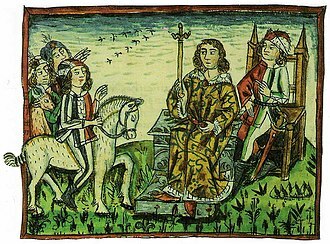 Critics of the first accused the king and his new ministry of pandering to the Catholic Church, the second matter, that of financial indemnities, was far more opportunistic than the first. 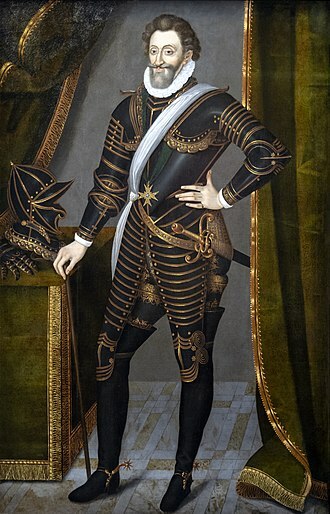 But opponents, many of whom were frustrated Bonapartists, began a campaign that Charles X was only proposing this in order to shame those who had not emigrated. Fils de France was the style and rank held by the sons of the kings and dauphins of France. 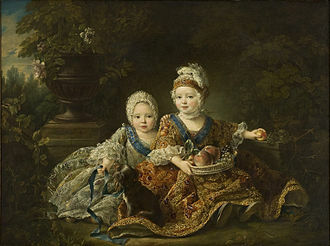 A daughter was known as a fille de France, the children of the dauphin were accorded the same style and status as if they were the kings children instead of his grandchildren or great-grandchildren. The king, queen dowager, enfants de France, the dauphin, the heir to the French throne, was the most senior of the fils de France and was usually addressed as Monsieur le dauphin. The kings next younger brother, a fils de France, was simply as Monsieur. Daughters were referred to by their given name prefaced with the honorific Madame, while sons were referred to by their peerage title. The kings eldest daughter was known as Madame Royale until she married, the illegitimate children of French kings and princes du sang were not entitled to any rights or styles per se, but often they were legitimised by their fathers. 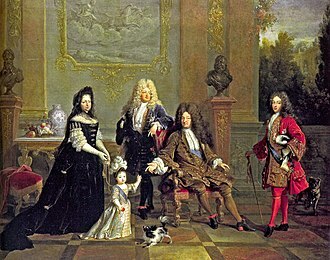 Even then, they were never elevated to the rank of fils de France, all enfants de France were entitled to the style of Royal Highness from the reign of Louis XIII. However, in practice that formal honorific was less used than the more traditionally French styles of Monsieur. The styles of the family varied as follows, Under the Valois monarchs. 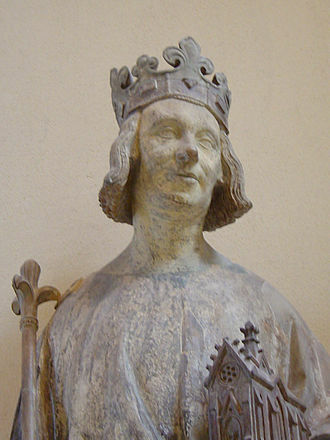 Philip VI made his eldest son Duke of Normandy and his second son Duke of Orléans, john II made his eldest son Duke of Normandy, and his younger sons dukes of Anjou and Burgundy. Anjou and Burgundy established long-lived dynasties, while the Duke of Berry lived for a long time, Orléans was reused for the younger son of Charles V, while Berry was reused for the younger son of Charles VII. By the accession of Francis I, all of the cadet branches descended from Valois kings had succeeded to the throne or become extinct. Thus the king had a selection of traditional titles to choose from. Orléans was the most preferred, followed by Anjou, the Bourbon kings followed the traditional titling, with Berry used for the third son. 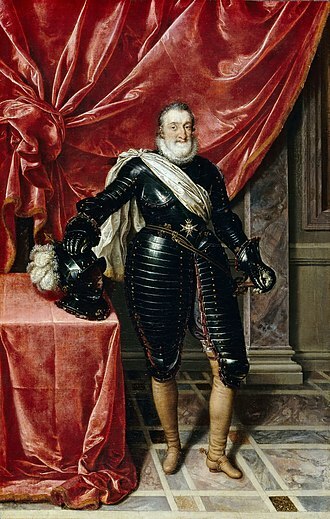 As lifespans extended, Burgundy was used for the eldest son of the Dauphin, but as fortune would have it, only the title of Orléans would be transmitted hereditarily until the Revolution. Nova Gorica is a town and a municipality in western Slovenia, on the border with Italy. Since 1948, Nova Gorica has replaced Gorizia as the urban centre of the Goriška or Gorizia region. Since May 2011, Nova Gorica has been joined together with Gorizia and Šempeter-Vrtojba in a common trans-border metropolitan zone, the name Nova Gorica means new Gorizia. 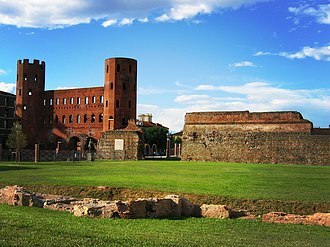 However, the origin of the name Gorizia/Gorica itself is Slavic, the common local term for the town is Gorica, while residents tend to refer to the neighboring Italian town as Stara Gorica old Gorizia. This use is reflected in Slovenian license plates, as well as in the name of the local association football club ND Gorica. The word gorica is a form of the Slovene common noun gora hill. In archaic Slovene, it meant vineyard and it is a common toponym in Slovenia and in other areas of Slovene settlement. In 1947, following World War II, Italy signed a treaty with the Allies. The treaty transferred most of the Slovene-inhabited areas of the Province of Gorizia to Yugoslavia, the town of Gorizia itself, remained under Italian rule. The new border cut the city off from its northern and eastern suburbs, around 40% of the municipalitys territory was transferred to Yugoslavia, including the suburbs of Solkan, Šempeter, Kromberk, Rožna Dolina, and Pristava. Together, these areas had a population of around 10,000, they lacked a cohesive structure, and were poorly connected. 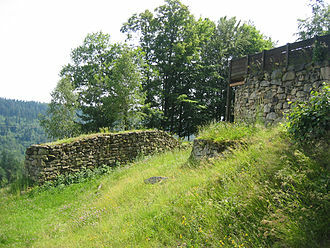 In order to overcome this problem, the Communist authorities of the Socialist Republic of Slovenia decided to build a new settlement that would connect these suburbs into a new urban space, the new town was called Nova Gorica or New Gorizia. The project had the backing of Marshal Tito, Yugoslavias Communist leader. 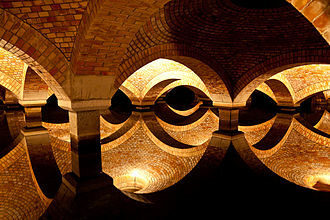 The project was commissioned to the Slovenian architect Edvard Ravnikar, a pupil of Le Corbusier. The first projects were laid out in winter of 1947, the building of the town continued throughout the 1950s and 1960s, reaching the current extension by the mid 1980s. In the early 1990s, all of the older suburbs acquired again the status of independent settlements. Nova Gorica railway station "Transalpina"
Nova Gorica viewed from Sveta Gora. The Rastrelli Palace at the heart of Jelgava. A view of the Grosse Tour-circa 1795, Ecole Française 18th century. Princess Maria Theresa by Giuseppe Duprà, circa 1762. 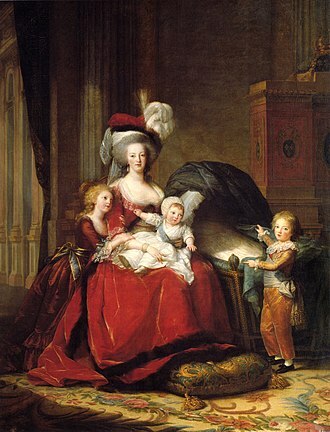 Marie Thérèse with her three surviving children, by Charles Leclercq, 1783. The crypt with the tombs of Charles X of France and other members of the House of Bourbon.